A large scale multi million dollar renovation to a country home in the foothills of picturesque Kangaroo Valley. This expansive property recently acquiring new owners and in need of a major overhaul was given the royal treatment by Munio Group, an illawarra based construction group specialising in bespoke architectural projects. 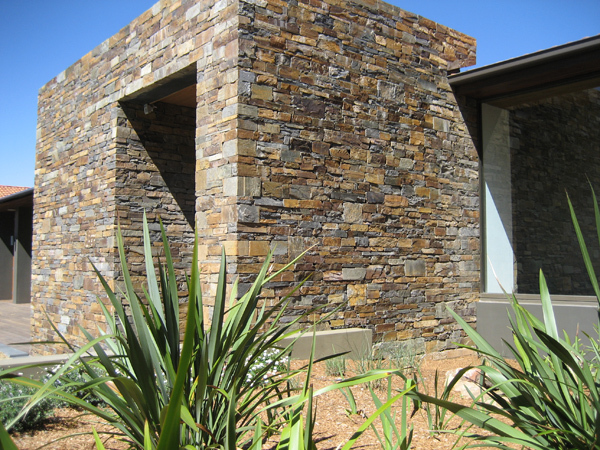 Stonehedge was called in to source, supply and install feature walls and fireplaces on the property. We settled on a bluestone product with similar colouring to the natural bedrock found in the area but with more refined lines and style. One of the many retaining walls built on the property to form part of the landscape. The same stone was used to connect features of the house with the outdoors.